We do our best to provide an extensive description of all items, so you can be sure that you are purchasing the right article and enjoy your purchase. However, if you need to change or return a product, we are happy to help you. Please read below our return policy and how to exchange or return your purchase. With exception of products on sale, all goods purchased from the Ekotoy website may be returned or exchanged within 10 working days starting on the day of the receipt of the package. Products bought on sale are not eligible for return. For items received as a gift we will issue a store credit in the form of an electronic gift voucher. 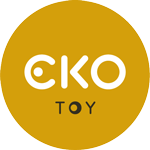 If you wish to return a product bought as a gift, please write us an email at info@ekotoy.com and include the email address to which you would like the gift voucher issued. We understand that products purchased as Christmas gifts will not be opened until December 25th. So, in the last period of the year, we extend returns’ time frame until January 5th, as long as the products are in their original condition and respect all of the conditions listed above, which apply to all returns. First step to any return/exchange is contacting us as soon as possible (within 10 working days from receiving the package). We will get in touch with to help and guide you through the return process. Should you receive a damaged item or a different* product from what you have ordered, please contact us as soon as you receive the purchased item(s). Please remember that we only accept returns/exchanges within 10 working days starting on the day of the receipt of the package. Please send us an email to info@ekotoy.com, stating your order number and the nature of the fault (preferably including images of the damage). We will take care of your request and help you with the returning process. In case of defective product or error on our part, we will refund the amount paid for the item, shipping fees and the postage cost incurred to return the item(s). Please send us the receipt for the amount spent on returning the package. * Please note that, since our products are mostly made of natural materials and these can vary in tone and appearance, images of the products displayed are indicative. Furthermore, all products undergo a quality control before they are sent. Differences in appearance are not considered as faults and we do not accept return claims based on such differences. Your refund will be calculated based on the paid price minus shipping fees and any coupons/discounts if applicable. Additionally, if the item(s) returned causes the original order subtotal to fall below the threshold of a free shipping offer, applicable shipping charges will be deducted from the refund amount. You will receive a refund (for items you purchased) or store credit (for items received as gifts) within fifteen (15) business days of receipt of your returned merchandise. All refunds will be issued via the same payment method used to make the purchase.